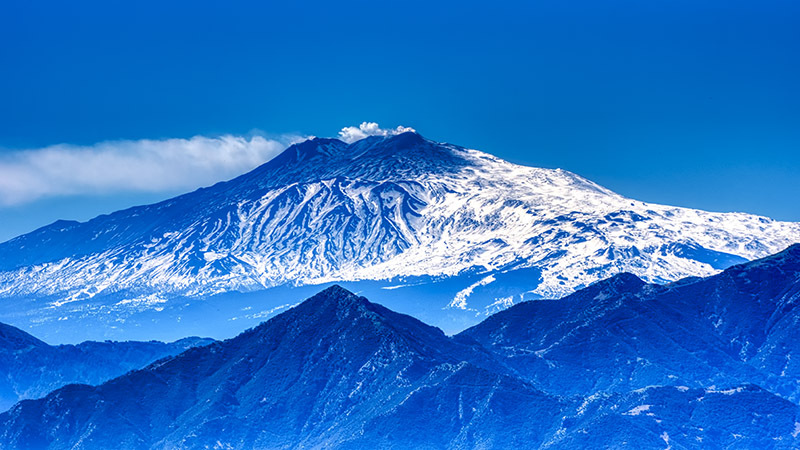 The Etna volcano seen from Messina 90Km distant. Last edited by giocandi on Tue Mar 19, 2019 10:08 am, edited 1 time in total. Looks like a cool scene but the processing has left quite a few artifacts. I can tell you massively boosted the contrast/dehaze which has left it way too blue and left dark patches at white blue interfaces. I think reprocessing this would really help it a lot. The repost is much much better (we normally ask that you keep the original one and then post the new one just so that the comments that have already been made make sense. But this is WAY better than the original. Still a bit too blue to my eyes but all of the artifacting is gone. A lovely mountain view but that blue is a bit too intense for me, Giuseppe! The blue doesn't look real to me, but it's certainly an interesting artistic effect. A very interesting scene. Very attractive image, you have taken a bit of artistic license with the color and contrast but that's fine with me. Agree with most of the others in that it is too blue. A nice scene that could be reprocessed.